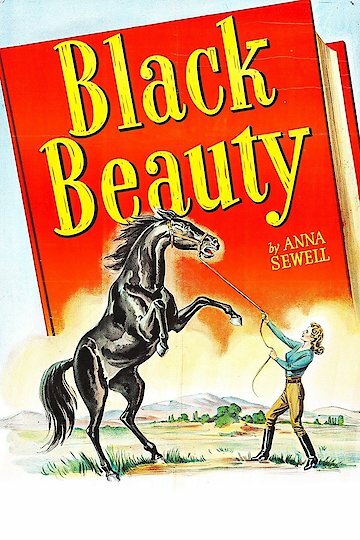 Black Beauty, released in 1946, is a loose version of the story by Anna Sewell. It bears very little resemblance to the book beyond the horses' names and two or three scenes. Instead of a cry for animal rights, it's mainly a story of a girl and her horse. It follows the horse from his birth as a colt, owned by a loving young girl, and their bond as they grow up together through happy and sad times. A subplot involves the girl's interest in a young man who appreciates the horse, but thinks of the girl as a child.